The objective of the activity revolved around educating ASB BBA students about the Industrial setup, operations, product manufacturing of prominent companies. 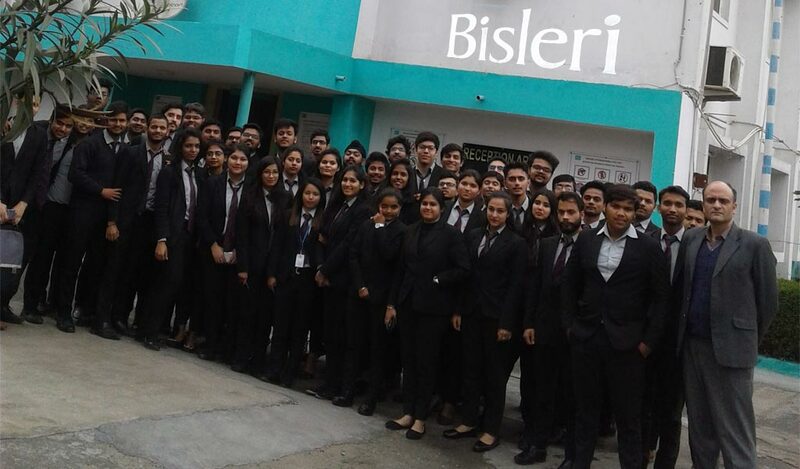 The Industrial Visit organized at Bisleri International walked ASB BBA students through the Product and Company’s journey, production cycle, FMCG sector as a whole and the career opportunities with company and the sector. There was a brief presentation that was given to students about the product line, manufacturing process, market share, scope and the transition of the brand since 1949 till today. The company is moving ahead with the mission of being the dominant player in the branded water business and expanding to be a leader in the premium beverage category. Bisleri International believes in Integrity, Teamwork, Cooperation, Quality, Passion, Openness and Transparency. This was a great learning experience for students and for those who are looking at making their career in this space. They in fact briefed about the student engagement opportunities available with the brand. We wish to thank the Bisleri International time for investing their time and efforts to make it a great success and delightful experience for our BBA students.